Detective Lexie Rogers is tough, smart and at the top of her game. 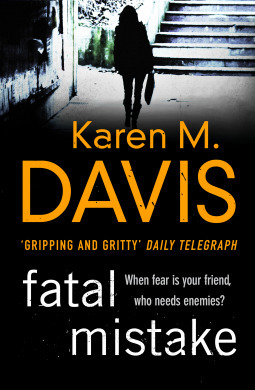 She’s seen it all, from bikies, blood and betrayal to drugs, deviants and deception … and the violent knife attack that almost killed her as a young cop on the beat. Lexie’s sent on the job of a lifetime — to go deep undercover, as beautiful Lara Wild, a drug distributor, to expose a huge dealing ring among Sydney’s most treacherous criminals. What she discovers is that being undercover is the safest place to be, especially when you’re a cop with target on your head, but one false move means she’ll die. And creeping from the shadows is the darkness of her past, something she can never outrun. Lexie knows she can’t trust anyone — but the trouble is, she’s not even sure if she can trust herself. Instalment three in the Lexie Rogers series is exciting, fast paced and so so readable! The settings are vivid – I can picture the nightclubs, the bouncers, the crooks and Lexie and her dyed hair and coloured contacts. The main characters are familiar and feel like old friends and I enjoyed the thread that wove police corruption into the mix – and what a mix – there is so much happening in the novel. This is a read in one sitting kind of book. Book out your diary and sit back and enjoy – there are some lovely plot resolutions in this instalment. I wonder what’s next for Lexie? This entry was posted in Book supplied by publisher or author for review, Crime Fiction, Police Procedural, Post Script: Book Reviews and tagged #3 Lexie Rogers, bikies, corruption, drugs, udnercover. Bookmark the permalink. This sounds like several interesting plot threads in the same novel, Carol. And I always appreciate it when an author can keep the suspense going and encourage the reader to follow multiple threads. Glad you enjoyed this one. I have enjoyed this series Margot- and such an authentic voice. Does this inspire you to do a post on ex cops now turned writer? Now, that’s an interesting idea, Carol! Thanks – I just might do that.